Super Black Flash Need Help? The Basic Shape is Retro Super Future's take on the classic wayfarer. Its slightly over sized and offered in a myriad of colors and designs. 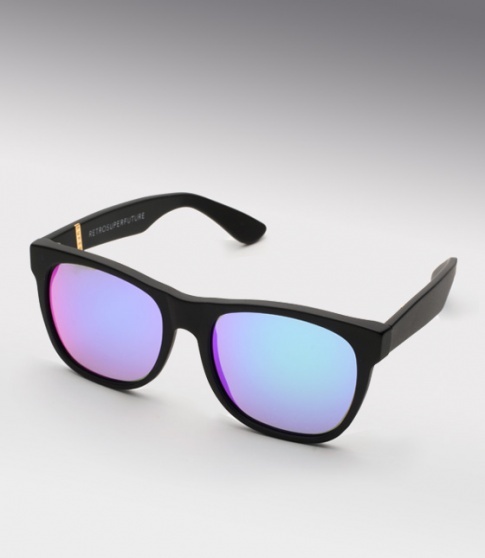 The Black Flash is one of the nicest editions to the Retro Super Future sunglass line up. A black frame with Zeiss rainbow mirrored lenses which emit different colors at different angles. These lenses really POP and make for a distinct look, appreciated best in person.Be sure to check out the Crystal Flash as well.